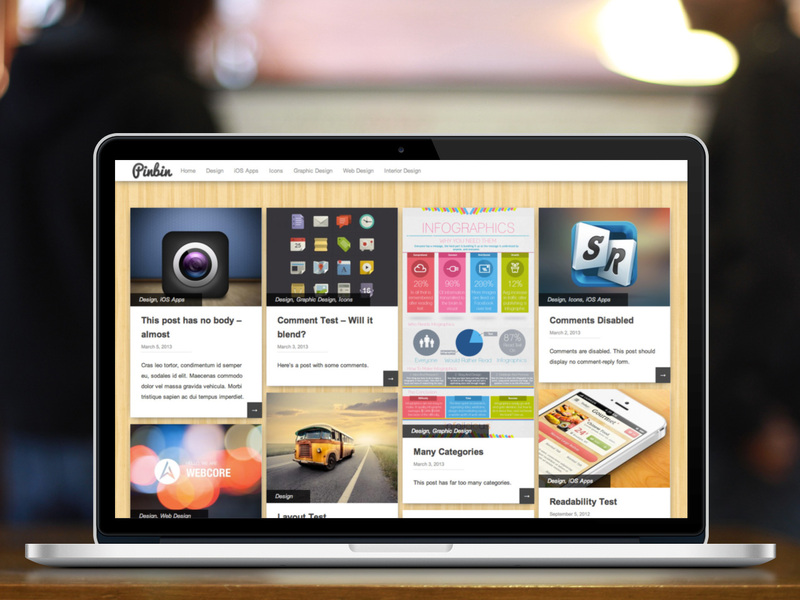 Pinbin is a clean, minimalistic, beautiful and responsive WordPress portfolio theme. Perfect for graphic designers, web designers, photographers and anyone who likes to put their images and artworks first. 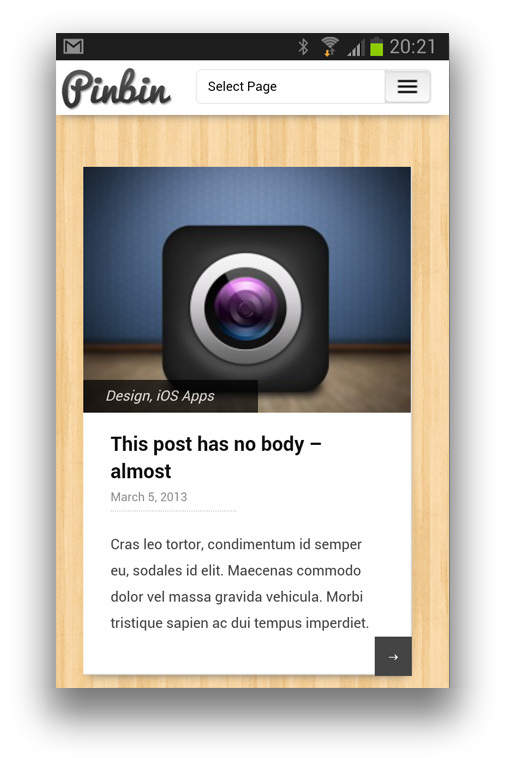 Pinbin theme is optimized for mobile devices including tablets and smartphones. It adjusts to all device sizes and screen resolutions. This theme consists of as few files and code lines as possible. 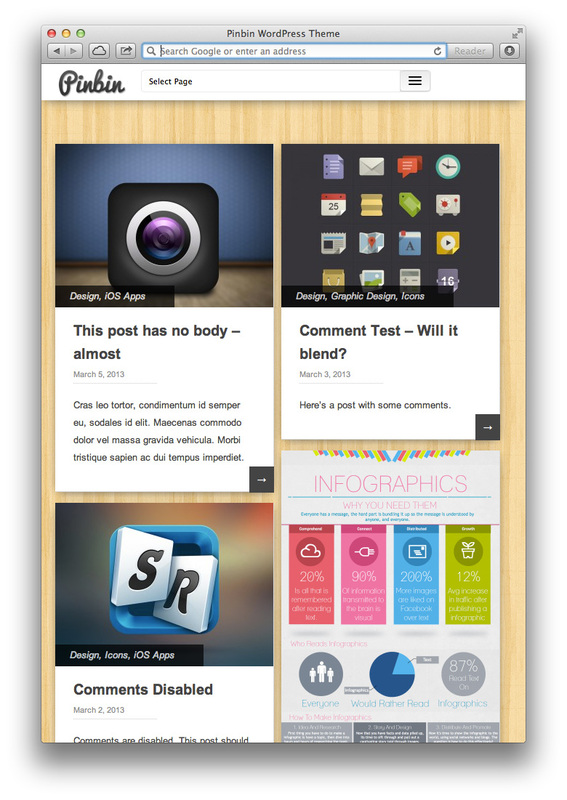 WordPress theme has never been faster and simpler than Pinbin. 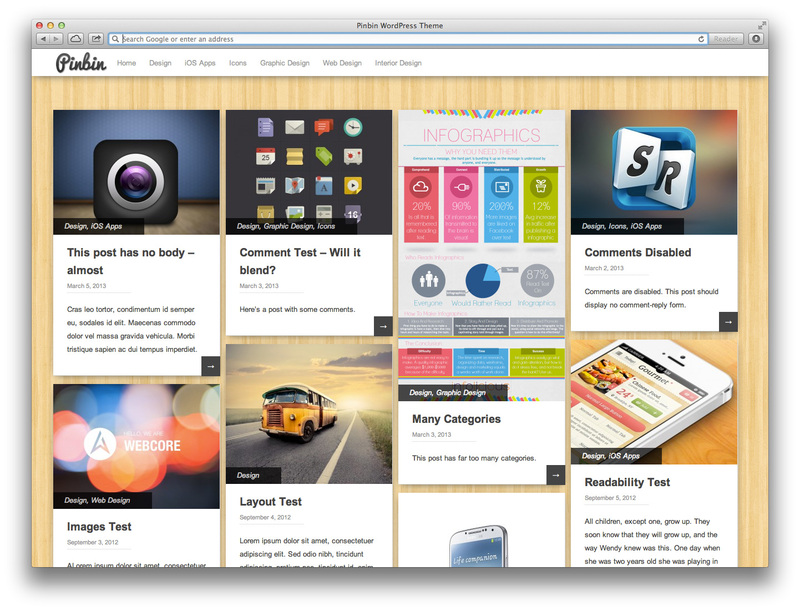 This theme is built around the images using the WordPress built in featured images functionality. Theme design is inspired by this popular social network which features ‘images first’. You can use your own logo and we integrated WordPress media manager, so changing logos has never been easier. 1.4.6 – Fixed issues with functions.js file. 1.4.5 – Fixed post overlapping issues for mobile devices. Navigation now wrapped within div. Improved page navigation. Now wrapped with “nav”. 1.4 – Major CSS overhaul to reduce its size. Improved responsiveness on mobile devices (search page and post page). Updated functions.php file with “wp_title()”. 1.2 – Completely rewritten functions.php. Theme now uses default WP scripts. Several other bug fixes and improvements. 1.1 – Several bug fixes and design improvements. Improved mobile menu and overall support for mobile devices. New search page now displaying search term and featured images. Updated header and header navigation. Logo uploader now uses WordPress built-in media manager.